I was amused, but assumed that the anchor’s error was unique and that I wouldn’t be able to find enough material to write a post on this misuse. My assumption was that any English speaker who has read a book or watched a movie set in ancient Roman times, or who has a superficial acquaintance with the New Testament knows the historical meaning of centurion. In this article we take lessons from the centurion communities of the world to gain priceless insight into how we too can live the longest. In Okinawa, where the life expectancy is the highest on earth, 803 of 920 centurions who were alive as of September 2011 were women. Daisy McFadden, a longtime resident of New York, will celebrate her 100th birthday this November. Still active, she believes her eating habits have greatly contributed to her longevity, as do most centurions. There are more than 4,600 Canadians now 100 or older. Estimates are that the United States might have a million people 100 or older by 2050. If those estimates are accurate, 43 years from now, many of those Boomers you see every day will be the new “centurions,” which strikes me as a better way to describe centenarians. Just as 60 is the new 50 today, 100 will be the new 90! Note: Joseph Wambaugh titled one of his novels The New Centurions. As it is about the lives of Los Angeles policemen, I don’t get the connection. Neither did Wambaugh’s British publishers, apparently. In the UK, the book was published as Precinct 45: Los Angeles Police. Centurion and centenarian are among several English words derived from the Latin word for one hundred: centum. In the ancient Roman army, a centurion was the officer in charge of a century, a unit originally comprised of 100 men. Dominic Sibley swapped school books for record books by becoming the youngest batsman in County Championship history to score a double century. This is a valid extension of meaning in a modern context. Shouldn’t the phrase be “a unit originally composed of 100 men”? The sheep compose the herd and the herd comprises the sheep. There is an interesting duality displayed here, illustrating what I like and what I don’t like about changes in language. Yes, using ‘centurion’ in error when you meant ‘Centenarian’ is annoying, and one of those changes that should be resisted and corrected. But I like the thinking of that Canadian citation. : Casting healthy centenarians as robust, experienced figures, like a centurion. That’s a shift with some thoughtful meaning and expressiveness behind it, and if it catches on for THAT reason, I don’t have a problem with it. Also, I’m not clear why you don’t get the connection in Wambaugh’s title. It hardly seems a stretch to compare a policeman, an arms-man in a military-like organization, with an iconic, classical example of the same thing. I agree with ApK on the aptness of Wambaugh’s own title for the novel cited. Additionally, the degree to which a centurion was worthy of an honored position in his time and among his comrades-in-arms was redolent of Wambaugh’s own attitude toward the best of the constabulary of which he had been a part, before he distilled his own experiences into fiction. Agree with Cliff (I was thinking the same thing myself as I read the post!) and ApK. ApK makes a point. “The New Centurions” (book and movie) is the first catch-phrase that popped into my mind (an immediate connection) and also apparently with the author of the Canadian article referenced. It was and remains, even after 40+ years, a pop culture block-buster of the law enforcement genre. Now I see (didn’t know about the original UK title) the brilliant move by the editor(?) who decided to change the book/movie title from its original. “Precinct 45” would have meant nothing in a jurisdiction with a gazillion other precincts, probably with the same or similar stories. @Roberta: Not sure about that last comment; what does 90210 mean to people these days, a zip code among a gazillion other zip codes? Even if “Precinct 45” hadn’t meant anything special BEFORE the book/movie, it did afterwards! The Canadian author’s speculation about future use of the word “centurion” isn’t something I’d personally concern myself with. I rather doubt this is going to sweep across nations. A web search for anything at all will result in millions of hits. So I don’t understand why blunders and ignorance which are clearly obscure and not representative of genuine changes in language are deemed worthy of a discussion at all. Select any two similar words with a common root origin and you’ll find examples of incorrect usage online. Probably enough to keep you reading for a day or two, should anyone choose to do such a thing. A daily column is certainly not easy to pull off. There have been many terrific and informative articles here. Yet there are recently more and more posts that seem outlandish and, frankly, nearly purposeless. This is one of them. We don’t really need to “learn” this, do we? I’d suggest anyone who has some confusion about these two words should not be pursuing writing of any sort other than an email or thank-you card. Most “daily” blog sites take a break on weekends. Some even have multiple contributors and still reduce the number of articles on weekends. I understand coming up with someone every single day is challenging. It is clear to me, after reading this site for years and years, that more and more articles grasp at straws. Please, take a break. Eliminate a couple days a week. Or use a couple days a week to post instead a word origin article. Something easier but interesting. There’s no fearful speculation when it comes to word origin, no worry that a new “trend” is emerging when there is no such thing happening in the first place, no need to provide web search result “proof” that is, in fact, not proof of anything at all. @Mike Rose: In spite of the fact that I literally LOL’d at the last sentence in your 3rd paragraph, I think you should be more tolerant here. Maeve and the others before her have been doing a fantastic job as well as providing a service. 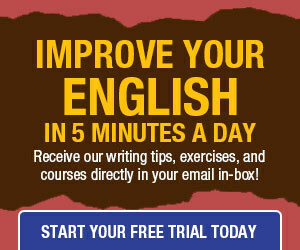 Remember, this blog is not just for native English speakers. There are plenty of non-native English speakers who show up here, and they are not as astute, savvy and discerning as you are. 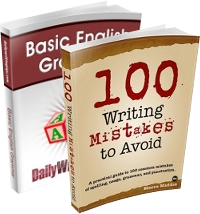 They may have limited access to English books (and of what quality, you might also wonder), and their main–or sole–exposure to English might very well be the internet, where, as you see, errors abound. This blog can help set them straight. If the day’s topic is of no interest to you, you can simply skip it, but at least it is available to all, and it is up to each person to decide for him/herself if it is relevant or not. I never thought I’d slip into the role of being a crusty curmudgeon complaining about innovation in language usage. However, here I am with my hackles being raised by two instances above that I just can’t accept. First, Maeve’s nontraditional employment of “comprised”: “In the ancient Roman army, a centurion was the officer in charge of a century, a unit originally comprised of 100 men.” No, the whole comprises the parts, as respondent Cliff Douglas has pointed out above. Good point about non-native speakers, though judging by comments in the Archives it doesn’t seem like there are as many now as in the past. In any event, yes New Centurions seems an obvious analogy and certainly not a confusion with centenarians– who are also new and probably just as temporary, taken individually. And comparing centenarians to centurions does seem to be quite a stretch. As to Mike Rose’s point: I know Maeve uses Ngram (sp?) in the research for these articles generally, and I think that does reflect the frequency of word usage and changes over time. It is not simply a Google search for all confusions of similar words. That said, I doubt the centurion/centenarian confounding is an especially egregious threat. BUT, the fact that these gross mistakes are made in supposedly professional venues by supposedly professional practitioners is an alarm bell that is not a drill. “…anyone who has some confusion about these two words should not be pursuing writing of any sort other than an email or thank-you card. One more thing: Could really monstrous confusions like the article’s subject simply be auto-complete mistakes? They may be the “worst enema” of writers there is out there now. Or maybe I’m just trying to make myself feel better. * If I were smart enough to know how to figure odds, I’d make book on how long it will be before the Chipotle restaurant chain just starts officially calling itself Chipoltee, maybe even changes its signage. @Roberta: It is true that each zip (well, that really should be ZIP) code is unique, whereas precinct numbers are not. But what I meant was that until the TV show (which I didn’t watch either, as I never watch TV), most people in the world had never associated the zip code 90210 with anything special. Likewise, most people didn’t attach any special meaning (or location) to precinct 45. Once these numbers were attached to their specific locations (Beverly Hills and the LA precinct respectively), they became permanently linked in people’s minds.